20-year-old social media star-turned-rapper Lil Nas X has turned country music on its head. Lil Nas X hit the top of the Billboard 100 chart this week for his controversial hit "Old Town Road" after it became the subject of a viral video challenge on karaoke app TikTok. Why it matters: Lil Nas X inadvertently set off a country music crisis when his song first appeared on the Billboard Hot Country chart last month. Nashville elites denounced his placement on the list, prompting a social media firestorm over who and what should be considered "country music." The catch: The debate picked up so much steam that it actually pushed the song from the No. 15 slot on the Billboard 100 list to No. 1 in a matter of weeks. Be smart: The pushback from the country music establishment shows that new tech can disrupt any genre — not just rap or pop, which often use autotune features and futuristic sound. 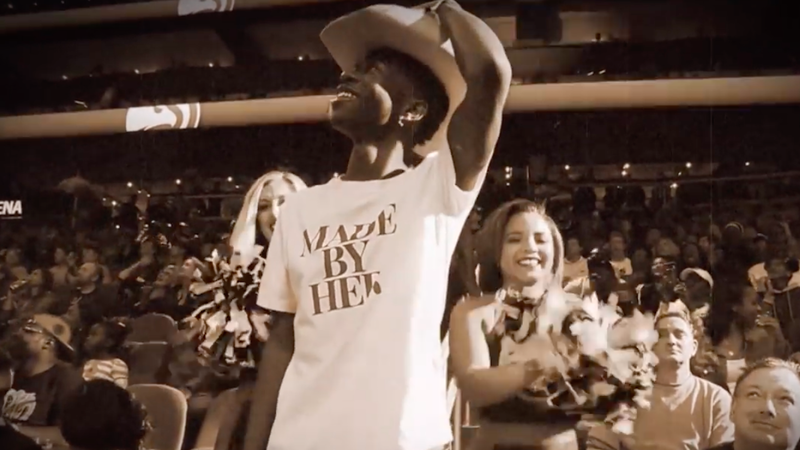 The fight, explained: Lil Nas X's hit began to pick up steam in early 2019 when a viral meme called the "yeehaw challenge" appeared on TikTok. It soon found itself on the Billboard Hot Country list. About a week after hitting the top spot on Billboard Hot Country, Billboard removed the song, telling Rolling Stone: "While 'Old Town Road' incorporates references to country and cowboy imagery, it does not embrace enough elements of today’s country music to chart in its current version." It later told Genius that the decision wasn't based on Lil Nas X's race. Yes, but: It's a tough argument for Billboard to make, given that it let country-electronic dance music hybrid song "Meant to be" rule the charts last year. It also let previous songs that incorporate rap, like Jason Aldean's "Dirt Road Anthem" and Tim McGraw's collaborative hit with Nelly "Over and Over," rule the list in past years. In an effort to get back onto the list, Lil Nas X re-released the song with Billy Ray Cyrus. "I loved the song the first time I heard it. Country music fans decide what they like. Not critics or anyone else," Cyrus said in a press release. "Waylon Jennings once told me every once in a while the industry outlaws someone because they’re different. Country music fans don’t need to be defined by critics. " The big picture: Lil Nas X's quick rise to fame is another example of ways that burgeoning social media and gaming apps are creating new sensations overnight. The now-famous "floss" dance was popularized by Fortnite. Lil Nas X's song came up through TikTok. Shawn Mendes turned his Vine popularity into stardom. Dozens of other young singers, from Justin Bieber to Carly Rae Jepson, became famous from YouTube.